Thank you so much for these rules. I have actually moved to simple scanning a few weeks ago from straight "random," and I love it. I found the random method very effective at the beginning, but gradually I would resist the whole list because things I needed to get done were not being done. I always had a secret hope that if I just kept working randomly I would eventually cover everything, but it didn't happen. With simple scanning, that "whole list resistance" is gone because I know I can always find something on the list to do. Quick question, though: How often do you read the whole list? Is that something you might do at the start of the day? In fact I don't re-read it very often because working the list imprints it pretty firmly in one's mind. I usually do it only when I've been away a couple of days or more. Essentially the principle is to read it through whenever you feel you need to. That of course will vary from person to person. A clarifying question: presumably unactioned tasks are not left on the list indefinitely? What is the means for pruning them? I'm not sure what the "this" is that you are referring to. a) You no longer have any need or desire to do it. b) You realise that it's not practical to do it in the forseeable future. Just being on the list for a long time is not sufficient reason to delete a task. In fact these tasks may provide some of your most important insights. You must realise that I am talking in the context of what I have been writing about long lists recently, such as there being no such thing as resistance, of allowing your intuition full freedom to decide on priorities and timing, etc. I meant this description of Simple Scanning - it just seems beautifully elegant, like a beautiful mathematical truth, such as Euler’s identity. So simple yet so deeply expressive of so many psychological and behavioral principles that underlie your systems. It just feels true somehow. Yet somehow I still can’t fathom how deleting tasks works. The rules themselves don’t seem to account for deleting tasks. If I am scanning for something that stands out, at what point would I divert from that mental mode into a mode that is considering whether I no longer have a need or desire to do a task; or whether the task is impractical; or whether I have already started working on a better alternative? Maybe you could describe a bit more how you practically do this yourself in the course of working the system? Is it simply that some tasks jump out: “delete me, you don’t need me anymore”? That’s kind of how it has worked for me when using your other standing-out-based systems. Just wondering if it’s the same here. Personally it is exactly that. Also most of the time there will be isolated islands of unactioned items in a sea of crossed out items, those stand out pretty well. Just think of it this way: deleting, editing, deferring, or redefining a task is still taking action on that task. Why do you prefer this method more than Flexible Autofocus ? The only difference I can see is that with FAF you have the added advantage of being able to revisit items on a page that you initially passed over without having to scan the whole list again. Hey! This seems really interesting... It is pretty much what I have been doing whenever I do simple scanning. I do have one question. Does the query (?) affect the scanning process? I have never added a query or any other mark for tasks I felt unsure about. What is the point of it? But also I suggested that you put a query after any tasks you were unsure about. So the action required on the task might be to delete it. Because I don't think that is actually an advantage in a system which is designed to make the way as easy as possible for your intuition to come into full play. For a start it slows down the speed at which you move through the list. Secondly it encourages you to second-guess what your intuition has already said to you. What is the point of putting queries after your two sentences above? In both of them the construction of the sentences makes it obvious that they are questions. So what is the point of the query? Once you've answered that, you will know the answer to your question. I would also add to Mark's points that the divisions of FAF, pages, are too arbitrary to be of any help to one's intuition. He writes things down to remind himself to do them, then he does them. The problem of inaction, in my humble opinion, has nothing to do with the way one conducts oneself when making lists. It has, on the other hand, a great deal to do with overthinking. Martin: Agree 100% about overthinking, to me its just another way of procrastinating. My core question is this: what's the best use of my time right now? Having said that... I do like getting everything out of my head and onto a list without any kind of filter or "overthinking". From Richard Branson: "He writes things down to remind himself to do them, then he does them." Sounds like a great description of simple scanning. I think there's a difference in that I'm guessing Branson does not write everything down, just the things he finds most important to remember. It's also possible Branson has certain talents or habits besides this notebook that enable him to be more effective than the average person would be just writing a few things down. It's also possible that Branson has a good number of staff dedicated to scheduling, arranging and making sure things happen in his life. I'm not so much interested in what Branson does now as in how he organized things when he was still an unknown that got him to be well-known. Nevertheless he must have some way of scanning through them and choosing which to do now and which to do later, and he will probably mark the one he is about to do and draw a line through it when he's done it. That's just about everything you mentioned as being "overthinking". My own experience agrees with this. Exercise seems to be at least as important for the brain as it is for the rest of the body, and it generally raises one’s energy level. A moderate amount of daily exercise, say 45 minutes, including aerobic exercise and/or strength training, is one the best uses of almost anyone’s time. And getting up at 6 a.m. to do it! I was getting up last year at 6 a.m. to run and I was 72 then. I'm currently working my way back to being able to do it again. Why cross out and re-enter each task everytime it is addressed? How about either dotting or dating at the end of the line for each attempt? Yes, I have also been dotting my recurring tasks rather than re-writing them (inspired by Alan Baljeu's post on doting a list). I have modified it slightly to just a dot when a recurring task has been worked on for as long as I want to, but not necessarily completed. It gives a good visual clue about what has not been actioned for a while and that the recurring tasks are generally balanced. I like it. another question on simple scanning - a lot of my tasks don't particularly stand out and I suppose they must all have equal importance, urgency etc. Logically, there is no reason to do one before the other. And quite rightly so - they all need to be done at some point and there is nothing really to differentiate them. What would you suggest in that case? I was thinking of doing say 5 of the most recent and then 5 of the oldest. That keeps a nice balance between any backlog and the new things coming in. That seems to be a way of working that stands out for me! Is it worth adding that scenario to the simple scanning instructions? (or your solution when that happens). There are several reasons why I prefer to re-enter. The most important is that it allows "clumping", which is when tasks which get done together get grouped together. You may be able to see how often tasks have been done with dotting, but you don't get a feel for what order they have been done in. Another important thing re-entering enables happens when you are working on several large tasks. Each time they get re-entered fewer and fewer other tasks surround them at the end of the list. 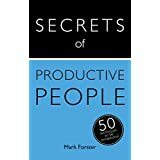 So you can get two or three task being worked on over and over again without distraction from the other tasks on the list. It depends what you mean by a longer list. 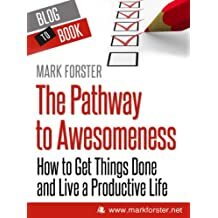 If you have 50 tasks on your list and you do one task which is recurring you still have 50 tasks on your list whether you dot it or re-enter it. Don't let me stop you, but I'd be very reluctant to do that myself. But presumably you do have other tasks that do stand out? You haven't come to a grinding halt because nothing is standing out, have you? As for these tasks that don't stand out, if there's no reason to do one before the other, then there's probably even less reason to do them before the tasks which _are_ standing out. Or alternatively you could wait until some of them do start standing out. I think what is happening is that I have got no resistance what so ever to any task at all. All of them seem easy at the moment. So my time management system just points me at say email for a while and I just do them one after another. Then it points me at post, and I just do one bit one after the other without a second thought. Then projects - I work on one for a while. And so the process carries on. One email does not standout anymore than the next one. Likewise with post. I have to say it is extremely comforting being in this state of mind. However, I don't get any feeling of anything in particular standing out. How odd. Maybe I have just turned into a robot or a Vulcan! As was discussed recently on this Forum, I don't believe resistance actually exists anyway ( http://markforster.squarespace.com/forum/post/2693646#post2693764so ) it's irrelevant to standing out. However there are plenty of other factors which standing out should be taking account of, such as time of day, energy levels, urgency and so on. I love the idea of one list to rule them all, notwithstanding the disquiet I sometimes express on this forum. My big criticism is as follows, and though Mark has countered it intelligently more than once, I don’t agree with him. First, Mark has never, as I understand it, denied the indispensability of a calendar separate to the action list. It therefore seems to me that if a plurality of ‘lists’ is already admitted, why not allow in an obvious third one? That list would, to all intents and purposes, be equivalent to Allen’s ‘Someday/Maybe’ category, or even Lakein’s Lifetime Goals List, which was different from his active projects list, and which he reviewed monthly in case his ambitions had changed. Such a list could be reviewed once a month, for example. And moreover pruned or destroyed at a whim. Think of it as a bloke’s kitchen drawer. And that would leave you with your current-projects list – the long list, plus your calendar. With your ‘other’ list in the once-a-month sort-of tickler folder, so to speak. What’s wrong with that? Isn’t the insistence on one list cutting off your nose to spite your face? Martin: Mark has never said you may only have 1 list. Rather, I believe his directive is that only one list should be telling you what to do -- in order to keep the doing as simple and fluid as possible. I don't think he himself bothers with this someday list you describe, but if you did have one, you could look at it occasionally and if you decide something is worth doing, move that item into your one working list. 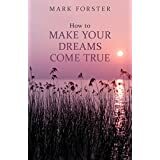 Mark Forster: I have one question for you, that I hope will be answered via blog post some day. What specifically went wrong 20 years ago when Simple Scanning didn't work for you? What happened? And secondarily why won't this happen this time? Mark this may seem off topic but it is related. I think with Simple Scanning (20 years ago) to AF to FVP to Randomizer to Simple Scanning (now) via your numerous books and all the other acronyms reminds me of your very first book where you gave very helpful hints and techniques, and then when momentum had been built up you had the confidence to move Beyond Techniques. Here the long list can be picked off by any of the techniques you have developed and shared over the years and I know I will often have a bout of Randomiser to get moving when I have been away for a couple of days. Then when the techniques have been developed the confidence is there to not needing to use them. Even short lists are for most of us a technique to take some items from a longer list to create forward motion. I know that's not how you meant it to work but I suspect few of us allowed ourselves to start from scratch every time when developing a 3 or 5 item list. I know I didn't as I was always worried something would fall off the edge and the long list of everything gives comfort that won't happen. Even the discussion on resistance not existing is effectively a form of energy management to keep the list moving. So your ebook is going to be very short if all you are listing is the instructions above! However if you start at Simple Scanning and go through the techniques and tips to help people so that you are fully confident so you don't need the techniques and are back at Simple Scanning I think it will help many of the people following your website. I don't have anything against lists as such, and in fact if you look through this blog you will find recommendations for all sorts of lists, including lists of outstanding actions in projects, dated lists (i.e. calendars), tickler files, lists of ideas, lists of authorised projects, and so forth. However I do think all lists should serve a purpose. And it should be a good purpose. Unfortunately the "Someday/Maybe" list is really a way of disguising the fact that one is over-committed, or else it's just a trash can for ideas that are going nowhere. It's better to sort your commitments out and empty the trash can. As for the "Lifetime Goal List"... If you need reminding what your life-time goals are, then they are not lifetime goals. Life-time goals should be impacting your life now, or else they are just pipe-dreams. I've covered this in my recent posts. I saw Simple Scanning as a means of getting everything done. What I didn't realise at the time was that what didn't get done was as important as what did get done. It took me a long time to learn that lesson. It probably will. Why aren't we all still going around in horse-drawn buggies? The idea of the ebook is to summarise all my current thinking on this subject. Hi Mark, could you share your thoughts on the pros/cons of the electronic list vs the paper list? I am fond of an electronic list (Word), partly as I can easily clump items together that I want to focus on during the day, partly as I can move completed items up to a separate section so I get a list of completed tasks (which gets moved to a productivity diary at the end of the working day) which helps me to keep track of progress / achievements. Just wondered if you had any advice guidance on best use of the electronic list to support this approach. Thanks! That is interesting! 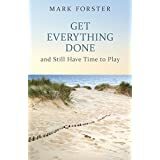 What level of importance are you putting on "getting everything done". The reason I ask is that simple scanning does not have a backstop so it could lead to things on the list being on there for a long time or possibly never getting done if they don't stand out enough. Especially for someone a bit overloaded. I know it is the title of the website, so I guess it could be right at the top of importance. If simple scanning had something in it to point at doing the oldest tasks at various intervals that might be a solution. Or is it not really an issue in that the oldest tasks should stand out at some point otherwise they should not really be on the list at all? If something has been on the list for a long time, it's next action should be changed to "Answer why I'm not deleting it?" It's probably because of guilt or over-optimism. Neither one is a good reason to keep it on the active list. A system that threatens to delete something if you don't take action might backfire. It's easy to panic and do something rather than calmly say "Maybe I shouldn't be doing this at all." With paper, it's easy to see if something has been on the list a long time. It's on the oldest page. When I consolidate my list, I copy the date along with the task. Most electronic systems I've used have some way of adding date, such as tag or label or "sort by order created". Good description of how rewriting causes clumping. Described like that, yes, I see it happening, and have taken advantage of it. Also, rewriting makes clumping of things you aren't doing more visible. It's easier to see things that haven't been crossed out than things that have fewer dots. I like the Hibernation / Someday / Maybe list. It's as effective as deleting a project, but emotionally easier. Now when I look at it, I have a good laugh at the projects I used to try so hard to keep active. Letting them go was the right thing to do. A few got reactivated, but it was when another project reminded me of them, not during the quasi-annual review of the hibernation list. However, Mark's right. If it's truly a life-time goal, you need to be working on it so it happens. You won't forget the goal, but it is very easy to let days, weeks, years go by with no action. It's also important not to have too many lifetime goals. You won't have time to do them all, and indecision can prevent action on any of them. I prefer to group them. Is there something you can do now that will help several goals? If so, you can take action now without having to choose the specific goal (and might learn things that change your goal). Are some of the goals similar? Do you want to travel to Italy and France and Germany and...or spend a month on an incredible European vacation, seeing what you can without spending all your time racing between places? Are some of them mutually exclusive? None at all, if by "everything" you mean "everything I've written on my list.". Since then I've changed my mind about the necessity of a formal method of getting rid of "old" tasks. I prefer to just delete tasks as and when I don't feel they are relevant any longer without any pressure to do so. << I am fond of an electronic list (Word), partly as I can easily clump items together that I want to focus on during the day, partly as I can move completed items up to a separate section so I get a list of completed tasks (which gets moved to a productivity diary at the end of the working day) which helps me to keep track of progress / achievements. When you say "to support this approach" are you referring to your approach which you have just described, or to Simple Scanning as described in the Blog Post? If it's what you've described, I don't really have any comments since I don't use electronic means myself and you seem to have worked out an approach which works for you. If it's Simple Scanning, all you need is a list on which you can cross out (and re-enter if necessary) the tasks you have worked on. That should be easily done in Word, though personally I think paper and pen is easier. Crossing out finished tasks makes the list easier to scan than using tick boxes. Anything more than that would be one of the complicating factors which I advise against. Personally it's been better for me to wait till the thing stands out and says "delete me!" It can trigger a snowball effect. Suddenly I realize how much dross has accumulated, and a whole bunch of things stand out and gleefully demand to be deleted! Fun and effective! And no guilty introspection, over-optimism, or threats of any kind need to get involved. I'd rather leave them out of it. Trying to maintain a special list like this feels like paying off a stiff mortgage. Debt weighing on my mind and hanging around my neck. Forget it. But the Hibernating Easter Egg approach works pretty well for me. If I have a list with some stuff like that on it, and I don't want to throw it away but also don't want to do anything with it right now, I just put it in my chronological file. It's an accordion file with monthly sections. I put the papers in the slot for today's month, for all the papers I don't want to throw away but know what else to do with. I just put them in today's month. If I do need a paper from there, it's easy to find, just go back a month or two or whatever. At the beginning of a new month, I empty the monthly slot for the new month. It has all the papers I filed there since last year. Most of them I can just shred. There might be a few that I need to keep for permanent records or something. And here is where I find those old someday/maybes. They feel like old friends, old nostalgia. That's why I called them Hibernating Easter Eggs, they feel like a surprise hidden present. Sometimes it's very funny to see what I was thinking about a year ago. Sometimes the things are useful - an idea that has been percolating for a while is now ready for action. Sometimes it's a little jarring to see that some issue I am struggling with today, I was struggling with it a year ago too! But usually I just throw them away. If I don't want it to percolate for a whole year, I can file it three months forward or whatever. This method lets the ideas percolate, but I can consciously forget about them and they don't feel like debt. If a line says "Delete me!" then yes, delete it, immediately. Like you, I find it often triggers a snowball effect. "Why am I not deleting it?" is only needed when something is hard to delete. Hibernating Easter Egg. Great name for it! Does seeing the old idea beside the new month's papers makes you think differently about it? I do something similar with my reading list. When I started my Hibernation list, I put it aside for 6 months. That was the longest I was comfortable letting things sit, and, fortunately, it was also long enough for me to see the light for many of the projects. Now I set it aside for about a year each time. Lifetime is much too vast for me, but I have found value in a "This Year Goal List". I refer to it regularly, and think about whether I am moving forward on each of the items. This helps keep me on track to improving my life situation. It seems to me this is a lesson that lies outside the process. Is there more to the lesson than this single statement? I haven't the *slightest* idea why this question is asked. 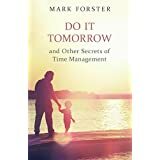 What's that got to do with time management? One trick from the old AF days I still use: on a page where all tasks are marked as done or deleted, I put an X in the top corner of the page. I skip these pages when scanning. A circled X in the corner means that all pages previous are X'd out and I don't need to scan back any further. It's a simple little technique but I use it all the time. Yes, I've written quite a few blog posts on the subject recently which you can easily find by paging back through the blog posts for the last few months. "Mr Benz, what specifically was wrong with your 'automobile' which you claimed was going to be better than the horse-drawn buggy? Why are you issuing a new version which you claim is better than the original? And secondarily why won't this happen again this time?" 1. I work in different contexts that limit the tasks I can do: airport, airplane, home office, etc. I do GTD which makes it easy to focus on tasks with certain recources (phone, internet, etc). How do you think the simple scanning can work well here? 2. I like to track tasks by project. Any tips for ensuring I can audit projects? 3. Do you think having parent and child tasks on the same long list could make you numb to the child tasks or waste your time having to scan through them knowing you've not done the parent task? In GTD you only put next actions, but that also frustrates me because it requires me to know what I've planned to know what's next. Thoughts? There's no cut and dried answers to any of these. It's a matter of seeing what works best for you in your circumstances. However I'll try to give you a few pointers. I don't think there is any problem because the scanning process will automatically take account of your situation at the time. However if you are away for a long trip you might want to take a shorter list with you. For larger projects I tend to just put the project name on the main list and have a separate project list which shows outstanding action on the project. You can either check tasks directly off this list or use it as a source for adding tasks to the main list. There's no reason why you can't use one method for some projects and another for different projects. I don't much like the idea of the "next action" because it's too restrictive. I prefer to list all the actions relating to a project which can be done now. Also make liberal use of tasks such as "Check progress on X", Plan Project x", "Think about X", etc etc. Thanks Mark. Great suggestions. I like the idea of having the project name on the list and then detailed plan on my project sheets (which I keep for each project already). For tasks that are due on a certain date, I assume you'd put them on calendar and then day you're set to do them, add to the list and then do them either throughout the day as you scan, or immediately if it's urgent? I usually put them on the list the evening before I want to get them done, so they are there ready and waiting the next morning.